Jamie Dodson is the award-winning novelist of the Nick Grant Adventure series. It’s what he does for fun. He started writing not long after moving to Huntsville in 2001. He’s attempted to retire on several occasions, but because of his service to our country, Jamie still has a day job. Jamie is a Technology Protection Engineer for the US Army Intelligence and Security Command with duty at Redstone Arsenal in Huntsville, Alabama. For more than 35 years, Jamie has dedicated his life to protecting our country as an intelligence professional. 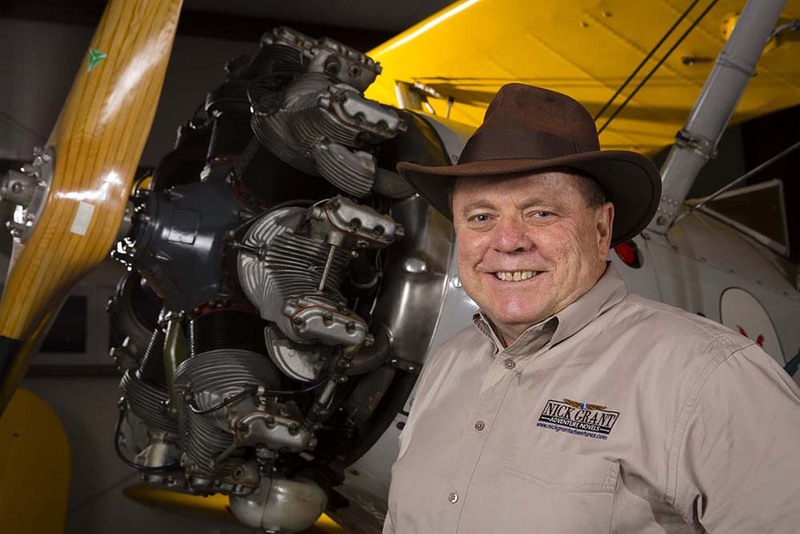 He has served with Special Operations, Army Aviation, Airborne Infantry, Military Police, and many others. He’s worked assignments in Laos, Vietnam, Cambodia, Germany, Hungary, Croatia, Bosnia, Iraq, Saudi Arabia, Kuwait, Japan, Korea, Guam, Samoa, the Hawaiian Islands, and all over the U.S.
Jamie has a Systems Engineering Certification from the University of Alabama in Huntsville, a Master’s degree in Computers and Systems Management from Webster University, and a Bachelor’s degree in Geospatial Science from the University of Colorado. He is married to Dr. Joan Dodson. They have three grown children, Ian, Neil and Glenna. Today they share their home with a rescued German Shepard named Jasper and two rescued cats – Ronald Weasley and Khaleesi. Prior to WWII, the United States and Japan were locked in a deadly espionage war. Before Japan could attack they needed technology, such as Howard Hughes’ advanced H1 plane, that would insure quick and decisive victory. Only Naval Aviation Cadet Nick Grant stood between the Black Dragons and the US technology that they so desperately craved. Published by The Ardent Writer Press October 2017. The link to Amazon for the paperback version (black and white interior) of Black Dragons Attack is HERE. The link to Amazon for the hardback version (COLOR interior) of Black Dragons Attack is HERE. The link to Amazon for the eBook Kindle version of Black Dragons Attack is HERE. 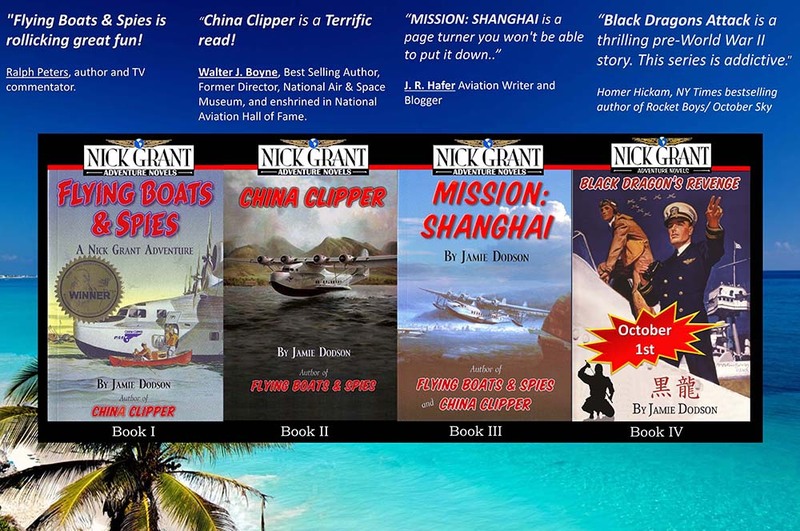 The link to Amazon for the paperback version of Flying Boats & Spies: Book 1 of the Nick Grant Adventure Series is HERE. The link to Amazon for the Kindle version of Flying Boats & Spies: Book 1 of the Nick Grant Adventure Series is HERE. The link to Amazon for the paperback version of China Clipper: Book 2 of the Nick Grant Adventure Series is HERE. The link to Amazon for the Kindle version of China Clipper: Book 2 of the Nick Grant Adventure Series is HERE. The link to Amazon for the paperback version of Mission Shanghai: Book 3 of the Nick Grant Adventure Series is HERE. The link to Amazon for the Kindle version of Mission Shanghai: Book 3 of the Nick Grant Adventure Series is HERE.